Garzón’s supporters claim there is nothing coincidental about the fact that the trial for malfeasance comes at the same time as two other, separate cases in which he is also accused of knowingly twisting the law. The private prosecutions against him have been brought by rightwing groups and one case refers directly to a corruption investigation into the main opposition party, the rightwing People’s Party (PP). 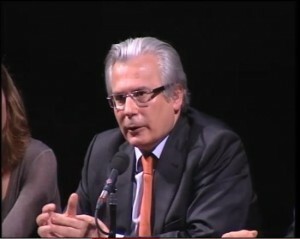 … Witness statements from leading legal experts around the world submitted to the Strasbourg Court on March 24, back up the view that the prosecution of Garzón violates judicial independence and the rights of victims of Franco era crimes to an investigation and information concerning the fate of deceased and missing family members. The rightwing groups bringing the prosecutions against Garzon are well known to human rights proponents. What needs more exposure are the identities and background of the officials complicit in the acceptance and vigorous prosecution of the charges. Dirt cannot exist in sunlight.